Subject: #44-25568 Itsy Bitsy II George Laven USAAF 343rd FG, 54th FS. 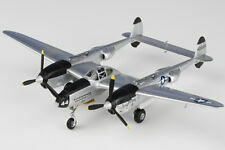 Type: P-38L Lightning Airplane. Product: 1:72 Scale Plastic Model. 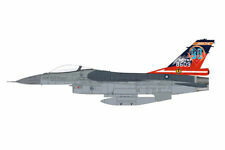 Item: Lockheed Martin F-16 Fighting Falcon. 8"-10" Sky Wings: 1:72. Subject: Belgian Air Force 31 Sqn. Type: F-16A Fighting Falcon Airplane. Product: 1:72 Scale Plastic Model. Subject: #6609 ROCAF 21st FS Gamblers. Type: F-16A Fighting Falcon Airplane. Type: F-16 Fighting Falcon Airplane. Missing landing gear wheel and the other is bent. Wingspan of 8.5". Stand included but no other accessories. It is no longer in production.